What is this babywearing thing everyone is talking about? Find out more about why a lot of mothers and mothers-to-be are considering and practising babywearing. Much have been talked about this subject and a lot more questions have came up too. 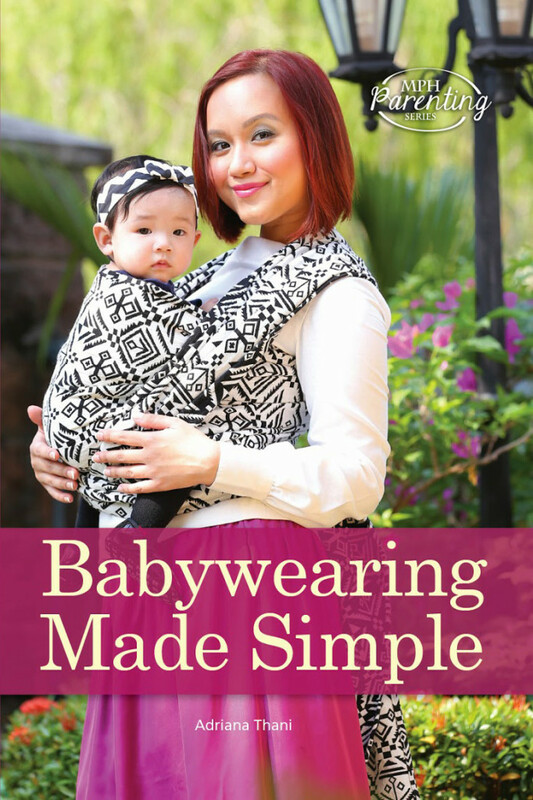 Who is in a better position to answer and provide insight than a mother of two, who has by the way released a book solely on babywearing title Babywearing Made Simple by Adriana Thani. Meet Adriana Thani, writer, speaker, advocate of natural parenting and a founding member of Malaysian Babywearers, a Facebook community dedicated to the growing babywearing phenomena. Having conducted various talks and workshops to empower parents with knowledge about natural parenting issues like breastfeeding, babywearing, and cloth diapering, it’s an obvious choice for her to publish and share her knowledge on this subject. Adriana’s first taste of babywearing was when she had her first child in 2007 while she was still in university, and the little dear was being a “very restless baby”, which led her to give babywearing a chance. She tried “wearing” him, when all her efforts to calm him down was futile. It worked like magic. And Adriana has since become a huge fan and advocate of the age old practice of babywearing. How to be stylish while babywearing. Get it at MPH Bookstores or any bookstore in Malaysia/Singapore. Find out more about Adriana Thani here. This entry was posted in Education, Lifestyle, Style and tagged adriana thani, babywearing, hana baby wrap, malaysian babywearers.